Review: Bruno is nine years old when his father, a Nazi Commandant, moves the family to 'Out-With' for his new job. Bruno is not happy to leave Berlin, his friends or their house. He's especially unhappy with their new house as there is nothing to do and no one to play with. That is until Bruno ventures to the 'farm' he can see from his window, the place he is forbidden to go. 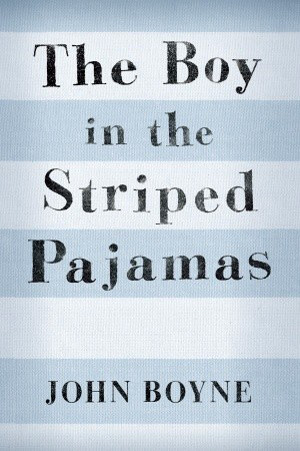 Bruno befriends a boy the same age named Schmuel and Bruno's life is changed forever. If you are reading this for historical accuracy, look elsewhere. As a child of a high ranking Nazi Commandant, Bruno would have been part of the Hitler Youth. He absolutely should have known who Hitler was, what the Nazi salute was as well as what being Jewish meant. As written, Bruno knew none of these things. Although 9, he was written as a younger child, closer to age 6. Throughout the book he referred to Hitler as 'The Fury' and Auschwitz as 'Out-With' even though he was corrected on the pronunciation multiple times. Almost every child was killed upon arrival at Auschwitz so the likelihood of Schmuel and Bruno ever meeting or becoming friends is far fetched. 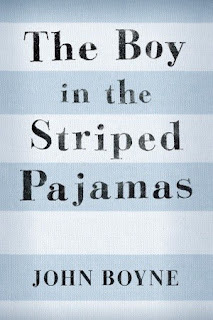 Okay, if you can look beyond all of that and read this as a fictional story of two boys caught up in a war they don't understand, this is an extremely sad tale.